Great Place. Memphis Jones is Incredible. This was a $5 cover. We had a family of four so it was $20 to walk in the door. We got a seat on the balcony which was great to watch and listen to band. A bucket of 5 beers was another $20. So $40 right off the bat for the experience. We did have fun and enjoyed the music on a Sat nite. They were packed. 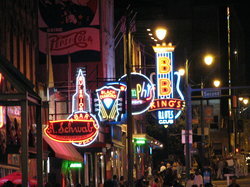 I am a native Memphian, but have never been to B.B. 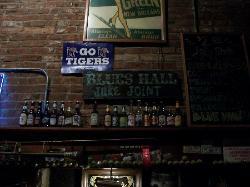 King's on Beale Street until 11-17-21012. 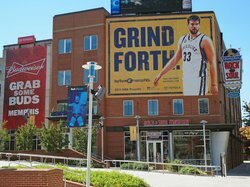 It is usually so crowded, you can't get in. Now, I know why. Standing room only, but it was well worth it on this past Saturday night. The B.B.King's House Band is seriously incredible. They appealed to all age groups & the place was hopping with lots of dancing & great fun --from teens with their parents to adults. I wouldn't take a child here, unless it was early evening or afternoon. However, it was just a superb experience for our party of 2 adults. 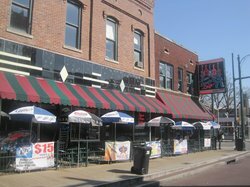 Cover was reasonable, staff was very nice & helpful, and the prices were great, This is a must-go on Beale Street in Memphis. Great people, great place, great music. LOVED it & I will be back sooner rather than later, even if I have to wait in a long line. This place seriously rocks!!! 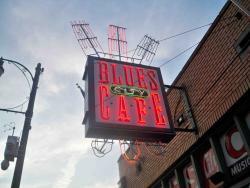 This is a must-go place on Beale Street, which in turn is a must-go place in Memphis. We spent about an hour there on a Sunday evening and the place was packed, unlike most other joints on the street. The crowd mostly seemed to consist of out-of-towners so I guess BB King's celebrity value does pull in people. The band was good and the vibe was very good. Of course, if you are not there for dinner (and hence not seated at one of the tables) it gets extremely difficult to attract the attention of any server. We ended up having to go to the bar and get our drinks - service at the bar seemed iffy as well. It seemed too much trouble which is why we ended up going someplace else for eats. But it did seem to warrant a return visit for a more elaborate meal. Often a club will be owned by some celebrity but will be managed by someone else. M<ore often than not it will feel "fake". 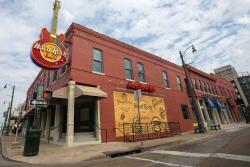 Not B.B.Kings! Course B.B. King was nowhere to be seen, but he is known to drop by on occasion. Heard two really talented groups the night we were there. The food was actually really good too! (something which often is neglected at some celebrity clubs and restaruants) My only negative would be the drinks seem "pricey", but I guess that's the way it is everywhere.